Reptiletech developed a management console to manage three different Bonduelle Group sites as well as an Intranet component for company representatives. The three sites produced by Reptiletech are Artic Gardens, Bonduelle Americas food service and Graves. django CMS's multisite functionality proved the ideal tool to allow Bonduelle to manage more than one site from a single management console. The different sites use different page templates to provide for visuals tailored to each of the different Bonduelle brands. Thanks to the front-end content editor, it is possible for the client to work directly on a page, and make changes quickly and efficiently. 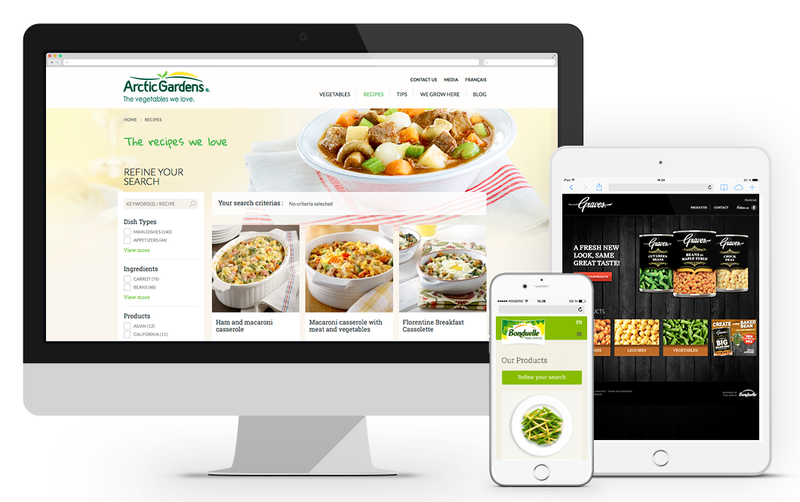 The use of django CMS simplifies the client updating experience, 'Responsive' page development by the team at Reptiletech, as well as site performance management.